Preceded in death by first wife, Josephine; grandson, Christopher Pfau; stepson, Doug Jasa. Survived by second wife, Barbara (Jasa); sons, Rev. Michael F., James K., and Rev. Stephen J., Thomas A. (Debra), and Dominic A.; daughters, Patricia (Jim) Adler, Mary Ann (Joe) Guynan, Therese (Bob) Hupf, Marie (Bob) Pfau and Mary (Ron) Andersen; 32 grandchildren; 43 great grandchildren; stepchildren, Scott (Ivy) Jasa and Cindy Jasa. To send flowers or a remembrance gift to the family of Francis Lee Gutgsell, please visit our Tribute Store. With a Wake Service at 7:00 PM. In lieu of flowers Memorials to St. Vincent de Paul Society or Siena Francis House. 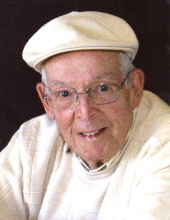 "Email Address" would like to share the life celebration of Francis Lee Gutgsell. Click on the "link" to go to share a favorite memory or leave a condolence message for the family.